Your organisation needs to become a Member to book minbuses. If you wish to become a Member please complete an application form. If you would like to use one of your own drivers they need to be over 21 years old and have held a full driving licence for at least two years. The driving licence should Ideally be without endorsements, although certain minor offences are allowable.There should be no prosecutions pending. HCT follows the code of practice that applies to all Community Transport organisations in the UK. Bookings need to be made by telephone between 8.30 am and 4.30 pm from Monday to Friday. Bookings cannot be made by fax, email or answer phone. Members can book a minibus as and when required or on a regular basis. In all cases, bookings will be accepted subject to availability of a suitable minibus to meet the needs of the Member. £3.50/hour for the first day. £30/day for each additional day. £1/mile for the first 100 miles and 70p for each additional mile. 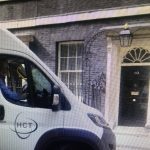 £11/hour for a Minibus Hire Service driver. Please note that from 1st April 2017 the charge for mileages over 100 miles will be increased from 70p/mile to 80p/mile. A cancellation charge of £30 will be made if a minibus booking is cancelled within 24 hours of the booking date and time.A charge for the driver will be made if the driver arrived at the agreed picking-up point before HCT was advised that the minibus was no longer required. In this case, a charge up to 3 hours drivers time will be made.